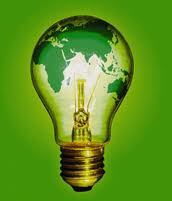 Save Energy, Money & Reduce Down Time!!! Stop Wasting electricity with your existing spa control and heater. Simply replace your less-efficient spa equipment with an energy-efficinet Megatrol. Call us and ask our technician to help you select the proper control for your hot tub. We can save you money, we have the proof, click here to see energy testing done by Cal Poly State University, San Luis Obispo. 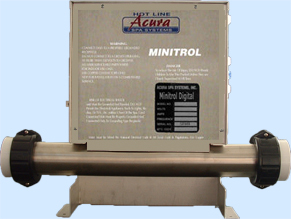 Dimensions: L=10.00" x H=13.75" x D=3.50"
The Minitrol Digital Hot Tub Digital Control we proudly offer today represents years of research and experience in manufacturing spa controls and hot tub controls for the spa industry. Almost two decades ago, we set out to design and manufacture reliable, inexpensive and easy-to-use spa controls and hot tub controls. We have achieved those goals and gone far beyond them in our newest model. Our Smart Touch Hot Tub Digital Control offers features unmatched by any other spa system: Our hot tub control offers four Independent Filtration Cycles, Freeze Guard, Temperature Calibration, Economy mode, Silent mode, Continuous Run Circulating Pump, Clock, Post Use Filtration, Auto thermostat, Heater Cool Down Cycle and many other features as well as an internal troubleshooting. Please remember you are buying direct from the hot tub control manufacturer. Also available in 220V@50Hz for Europe, Middle East, Brazil, and Japan with CE approval. 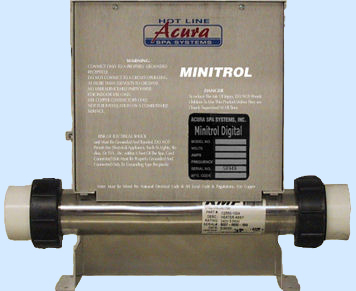 When installing 2 pumps on the Minitrol, make sure the total amperage load for both pumps does not exceed a total of 18.0 Amps. If two pumps are installed on the Minitrol, you can not add a blower, blowers can only be added to single pump systems. 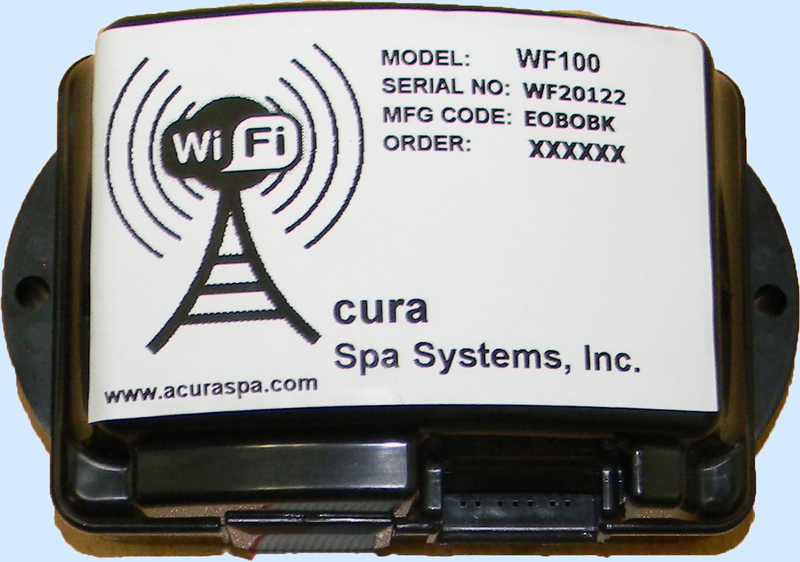 spa heaters, spa heater, hot tub heater, hot tub heaters, spa control, spa controls, hot tub control, hot tub controls, spa controllers, hot tub controllers, spa digital controller, hot tub digital controller, Megatrol powered digital controls, Titanium spa heater with 5 years no fault warranty when installing the AAB.